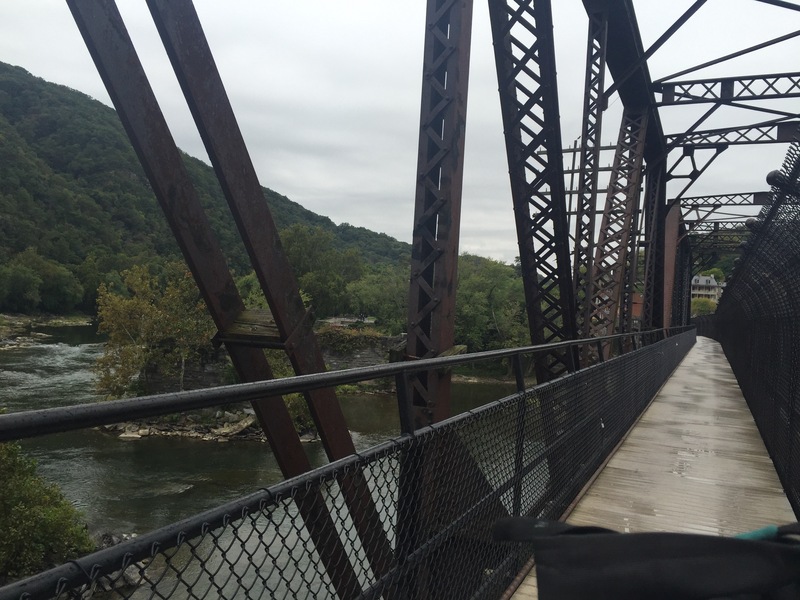 We’ve hit a major milestone in reaching Harper’s Ferry, West Virginia. While actually past the halfway point mileage wise, it has always been the psychological halfway point. 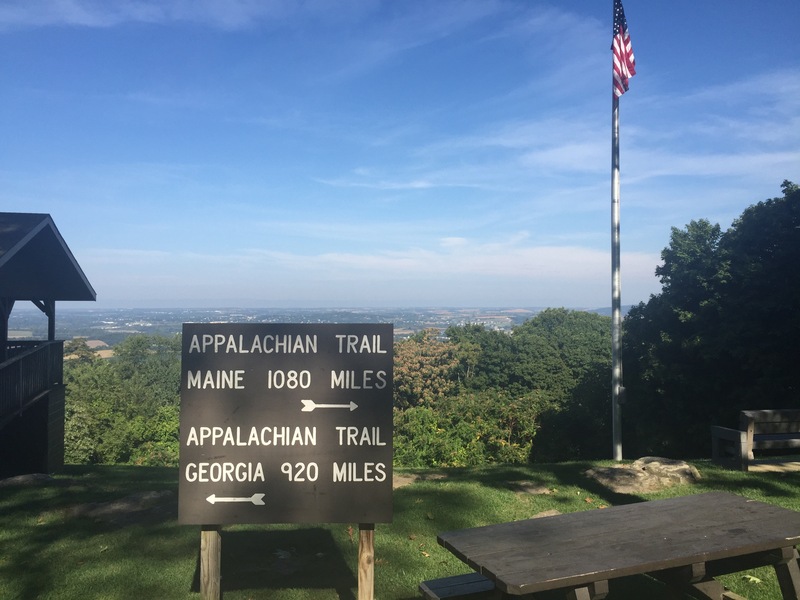 We have 4 states left – Virginia, Tennesee, North Carolina, and Georgia. 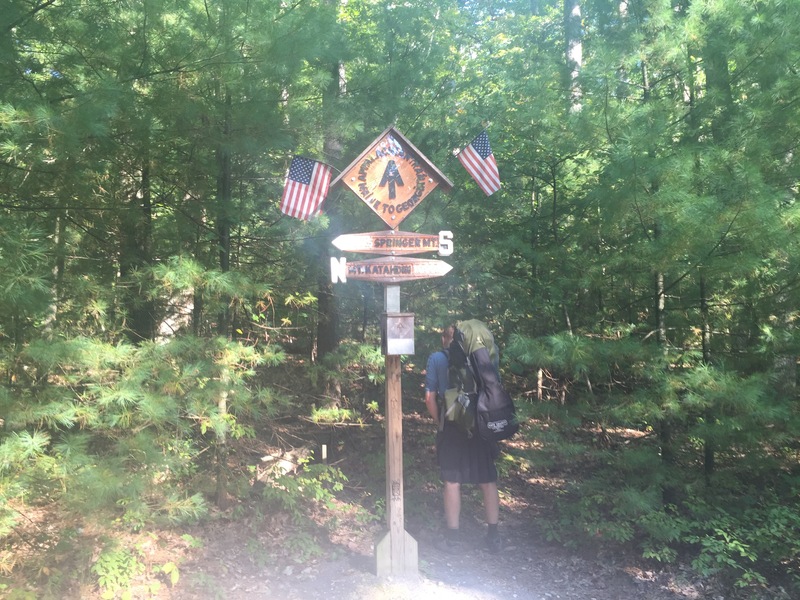 After our final trip to Philadelphia last week, we got back on the trail at Pine Grove Furnace and continued our trek south. Southern Pennsylvania is still rocky, but nowhere near as rocky as further north. We were averaging about 15 miles per day. We passed a number of “halfway points” in Pennsylvania. Because the trail changes length periodically, the halfway point moves too. There is an elaborate sigh at the 2011 halfway point. 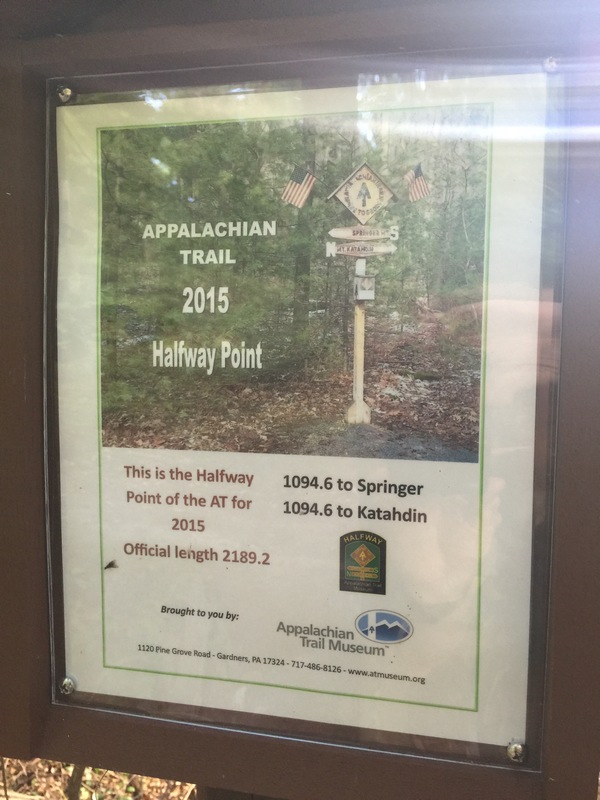 The 2015 halfway point is marked by a stick with a picture of the 2011 point stapled to it. Our last shelter in PA was Deer Lick Shelter. This was very elaborate. The caretaker obviously put a lot of time into it. There were benches, hanging plants, and structures built around the bear box and picnic tables. 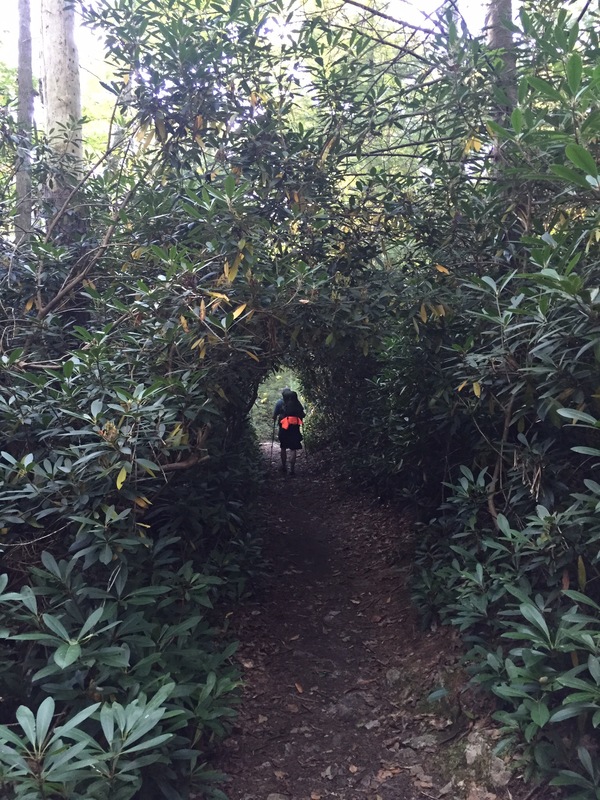 The entire shelter was nestled in a grove of rhododendrons. All in all, a nice way to spend our last night in Pennsylvania. 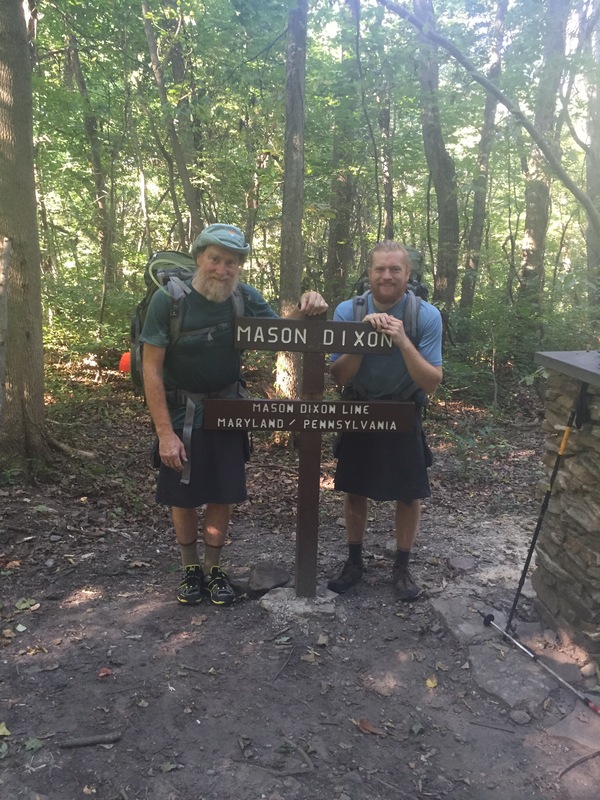 The next day we crossed the Mason-Dixon line and entered Maryland. We stopped at PenMar Park for lunch. The rest of Maryland flew by. We had hiked this section as part of a shakedown trip last December. It was familiar, but now with leaves on the trees, and not as many views from the ridge line as there were last winter. This section is so rich in Civil War history. 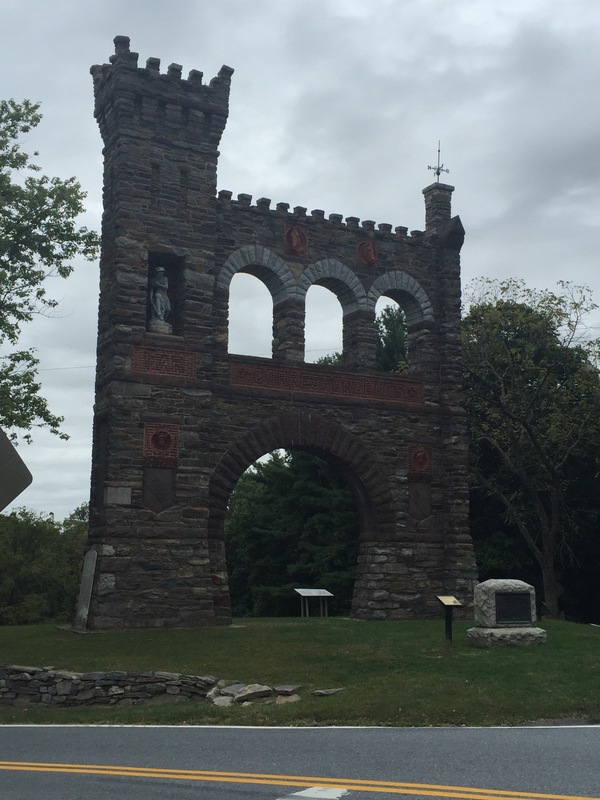 Robert E Lee used South Mountain to hide his army as it moved into PA, culminating in the battle at Gettysburg. Virginia, here we come !